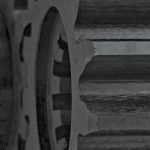 Much can be learned from measuring the temperature of gears under load. The following paper describes an experimental technique developed specifically for this purpose. 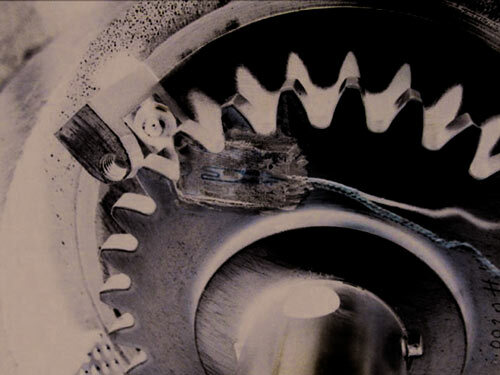 This paper presents the technique developed to measure the temperature on various active portions of a gear operating under load, at high speeds, and the results obtained. Comparison of the measured temperatures to computed temperatures utilizing standard AGMA methods is also presented. This experimental technique was developed as a part of a larger project to establish design stress allowables on aircraft gear steels at elevated temperatures. 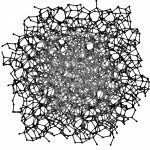 This required that the ability to control the temperature of the gear tooth material at the mesh be demonstrated. 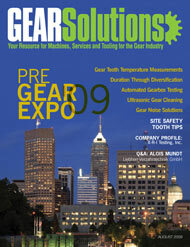 The results of this successful effort are described in this paper as a matter of interest to the gear community. 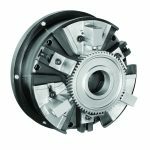 In order to provide extended operation of gears in a “loss of lubricant” situation in high performance gearboxes, special steels have been introduced for aircraft gears. 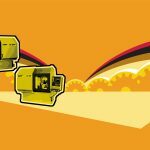 However, further benefits, such as increasing aircraft payload by decreasing the size and capacity of the lubrication system, could be derived if the gearbox were designed to operate at higher temperatures. 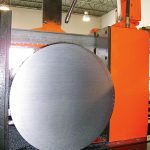 This design change requires that the fatigue performance of these special steels be characterized at elevated temperatures. 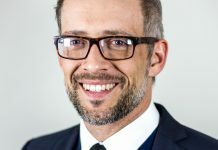 In an effort to establish a program to determine the bending and contact fatigue characteristics of gear steels, it was necessary to demonstrate that power re-circulating (PC) bending and contact fatigue tests could be conducted at controlled elevated temperatures. 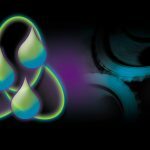 Key to conducting PC experiments at elevated temperatures is demonstrating the ability to control the temperature in the relevant regions of the gear tooth, utilizing the only variable that can be easily controlled in such experiments, which is the inlet temperature of the lubricant. A schematic of a PC test rig is shown in Figure 1. 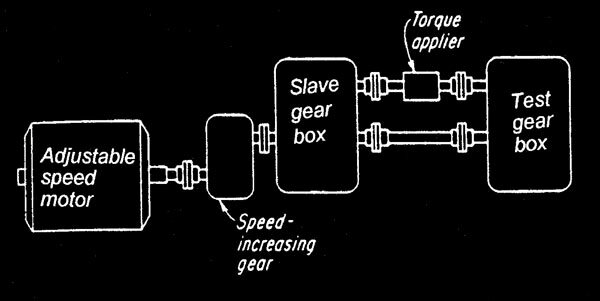 It consists of a four-square, kinematic loop including a test gearbox with a pair of meshing gears and a “slave,” or reversing gearbox, consisting of another pair of gears. 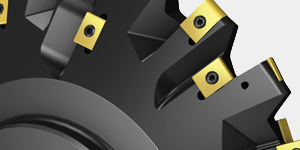 The load on the gears is applied by generating and locking a torque within the kinematic loop, by the torque applier. The motor driving the test rig has to only supply the losses in the mechanism. 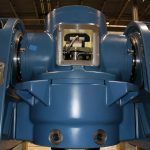 The gears in the reversing gearbox usually have a much wider face width than the test gears so that they will not fail as they experience significantly lower contact and bending stresses for the same applied torque than the test gears. 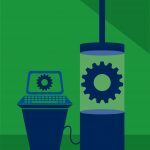 While this type of a test rig has traditionally been utilized for gear surface fatigue testing, as described in reference 1, it has also being extensively utilized for conducting gear bending fatigue testing2. 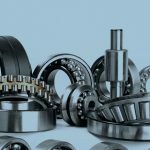 This is particularly true when experiments are designed to establish bending stress design “allowables” for various gear materials or for analyzing the impact of various manufacturing processes on bending strength. 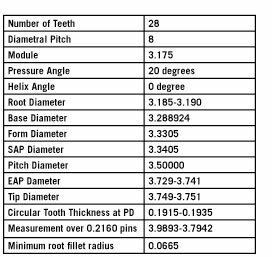 The details of the 0.25 inch face width test gears utilized in the PC test rig are described in Table 1. 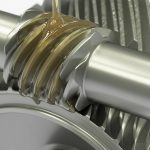 The lubrication arrangement in the test gearbox is illustrated in Figure 2. This shows a single nozzle providing oil “into the mesh” (gear rotational direction shown on left hand side shaft) and two nozzles providing the cooling oil into the “out of mesh” side of the engagement. 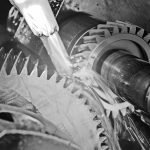 Thermal Regions of Gear Teeth: In order to conduct gear material characterization at elevated temperatures, it is necessary to delineate the various thermal regions of an operating gear that are relevant to the failure mechanisms under consideration. One proposed thermal de-lineation is illustrated in Figure 3. 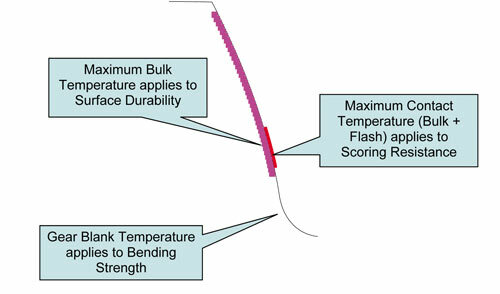 The gear blank temperature, measured close to the root area of the gear tooth, is considered relevant to bending fatigue, the maximum gear tooth “bulk” temperature measured very close to the involute surface of the tooth is considered relevant to surface durability, and the maximum contact temperature at the tooth surface is considered relevant to scoring resistance. If this de-lineation is acceptable, then the experimental effort distills down to measuring the gear blank and gear tooth bulk temperature in order to characterize the bending fatigue and contact fatigue properties of the material, demonstrating that they can be held to a defined value with accuracy and precision by controlling the oil input temperature. 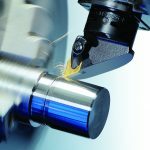 There have been a few efforts to measure temperature in a gear tooth in operation. 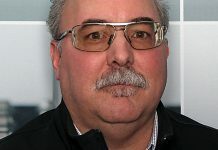 Prominent among them is 3 where five thermocouples were inserted through a test gear, made in two halves, to be positioned along the flank of the tooth. While it is unclear how the two half gears were assembled for the actual experiments, data on the temperature and temperature distribution was obtained along the tooth flank at speeds of 1000 revs/minute and at different contact pressures. In this study, however, the thermocouples were distributed in the relevant thermal regions as discussed in the earlier section. Instrumentation Setup: The instrumentation effort was conducted in two distinct phases. 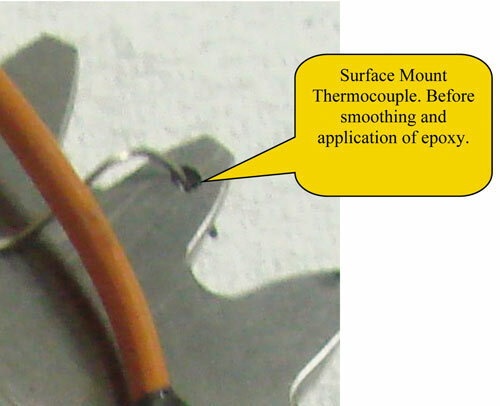 In the first phase a thermocouple was surface mounted in the root area of the gear tooth to measure the blank temperature in the area of maximum bending stresses. This is shown in Figure 4. In the second phase three thermocouples were inserted angularly from the face of the gear tooth (Figure 5), with one thermocouple breaking through the flank surface to measure contact temperature and the second and third thermocouple angularly inserted from the face of the gear but stopping short of the flank surface by 0.008 inch and 0.018 inch to measure the tooth bulk temperature. While the output of the contact temperature thermocouple was recorded in the experiments conducted, it is no longer discussed in the paper, based on the delineation of the thermal regions relevant to the failure mechanisms of interest in this study, discussed in the earlier section. 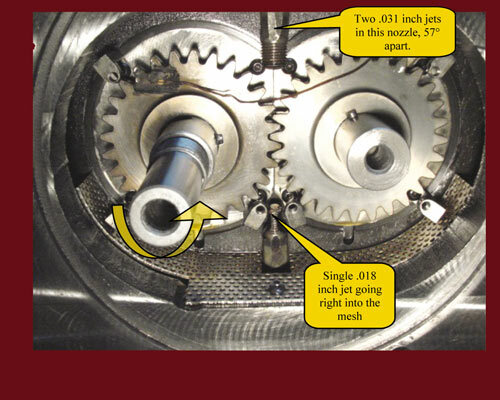 The thermocouples are, in all cases, at the lowest point of single tooth contact (LPSTC), but spaced 120 degrees apart (Figure 6) in order to ensure balanced mounting, as the gear was anticipated to operate at speeds in excess of 5,000 revs/min. 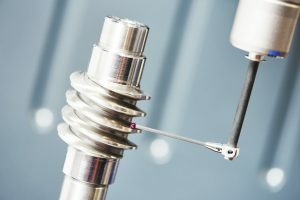 Thermally conducting epoxy, recommended by the thermocouple manufacturer, was used in locating the sensors in their respective locations. In both of these measurement phases the thermocouples were connected to amplifiers and the amplified outputs brought out through slip rings to voltage measurement devices, to record the temperatures at the thermocouples. 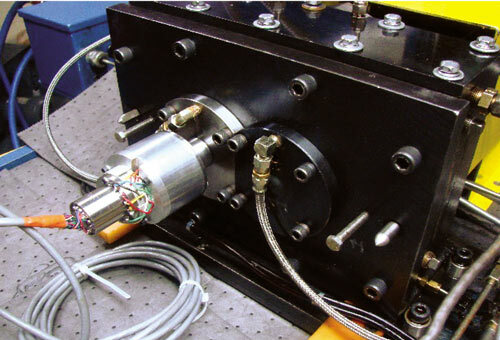 A picture of the entire setup at the test box on a high speed (up to 10,000 revs/min) PC test rig is shown in Figure 7. 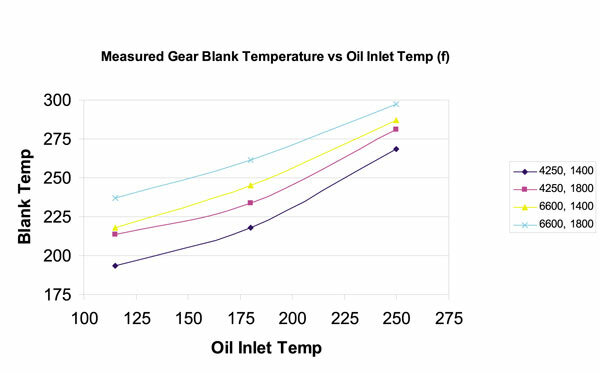 Experimental Results: The plot of the gear blank temperature measurement as a function of inlet oil temperature (lubricant is DOD-PRF-23699), speed (4250 and 6600 revs/min), and torque (1400 and 1800 inch. lbs) is shown in Figure 8. 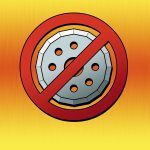 The nature of the measured gear blank temperatures appears logical as it is directly proportional to the oil inlet temperature, speed, and torque. 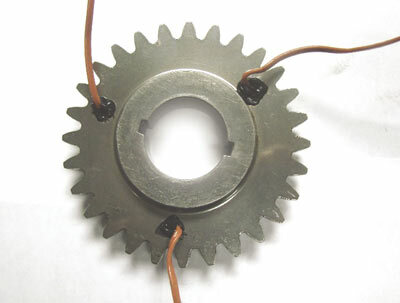 When gear blank temperature was monitored during actual Scoring Resistance tests, the initiation of scoring failure was easily detected by the sudden increase in the gear blank temperature. 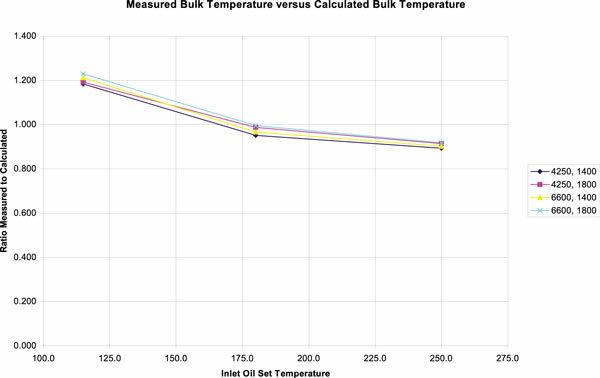 Figure 9 shows the measured gear tooth bulk temperature (average of the measurement from the thermocouples at 0.008 and 0.018 inch away from the flank surface) as a function of the same three variables, inlet oil temperature, speed, and torque. 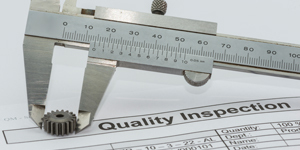 The nature of the measurements again appear logical, and repeat measurements indicated very good repeatability, provided sufficient time was permitted between and during the measurements for the temperatures to stabilize. The maximum flash temperature is obtained by computing the flash temperature at a sufficient number of points on the line of action. Figure 10 illustrates the ratio of measured temperature to computed temperature as a function of the oil inlet temperature at different speeds and torques. 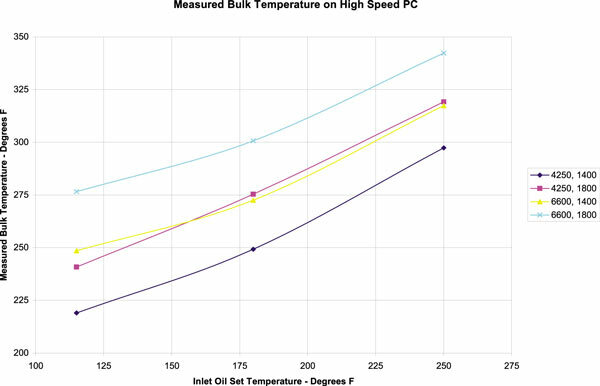 While the authors believe that the measurement of the temperatures was conducted with great care and precision, it appears that the computed values are well correlated to the measured values, only at oil inlet temperatures around 175 °F. The measured values are higher when oil inlet temperatures are below 175 °F and the computed values are higher when oil inlet temperatures are higher than 175 °F. The discrepancy is most likely the result of the thermal response of the test rig. The equation for bulk temperature4 is an empirical equation that gives a first approximation for typical operating conditions. The thermodynamic response of the test rig approximates typical operating conditions most closely at 175°F oil inlet temperature. For higher oil inlet temperature the rig dissipates heat generated in the gear mesh more effectively than typical operating conditions and for lower inlet temperatures it dissipates heat less effectively. 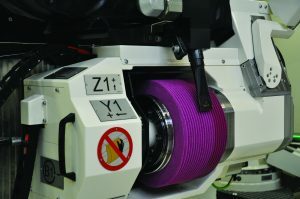 An experimental technique to measure the temperature of relevant regions of a gear in mesh and under load was demonstrated. 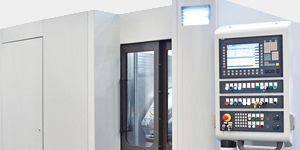 The relevant regions were defined as the gear blank temperature and the gear tooth bulk temperature for characterizing the bending fatigue and contact fatigue properties, respectively. The ability to control the temperature of the relevant regions of the gear by varying the oil inlet temperature was also demonstrated. 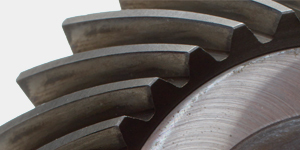 The measured gear tooth bulk temperature was compared to computed values, utilizing standard AGMA methods. While it is believed that the measured values are more precise than the computed values, a good degree of correlation between the two further establishes the credibility of the measurement. 1) McPherson, D. R. and Rao, S. B., Mechanical Testing of Gears, Mechanical Testing and Evaluation, ASM Handbook, vol. 8, 2000. 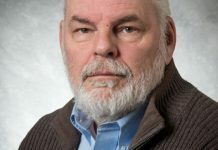 2) S. B. Rao and D. R. McPherson, “Experimental Characterization of Bending Fatigue Strength in Gear Teeth,” Gear Technology, January/February 2003, pp. 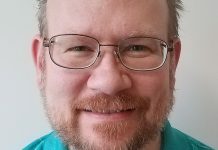 25-32. 3) J. Yi and P. D. Quinonez, “Gear Surface Temperature Monitoring,” Proce. ImechE, vol. 219 Park J:J. Engineering Technology. is with the Applied Research Laboratory at The Pennsylvania State University. Contact McPherson at drm17@psu.edu.